Over the past century, studies of the budding yeast Saccharomyces cerevisiae have helped to unravel principles of nearly every aspect of eukaryotic cell biologyfrom metabolism and molecular genetics to cell division and differentiation. Thanks to its short generation time, ease of genetic manipulation, and suitability for high-throughput studies, yeast remains the focus of research in a vast number of laboratories worldwide. This laboratory manual provides a comprehensive collection of experimental procedures that continue to make budding yeast an informative model. The contributors describe methods for culturing and genetically modifying yeast, strategies and tools (e.g., gene deletion collections) for functional analyses, approaches for characterizing cell structure and morphology, and techniques to probe the modifications and interactions of various cellular constituents (e.g., using one- and two-hybrid screens). Strategies for studying metabolomics, complex traits, and evolution in yeast are also covered, as are methods to isolate and investigate new strains of yeast from the wild. Several additional chapters are devoted to bioinformatics tools and resources for yeast biology (e.g., the Saccharomyces Genome Database). 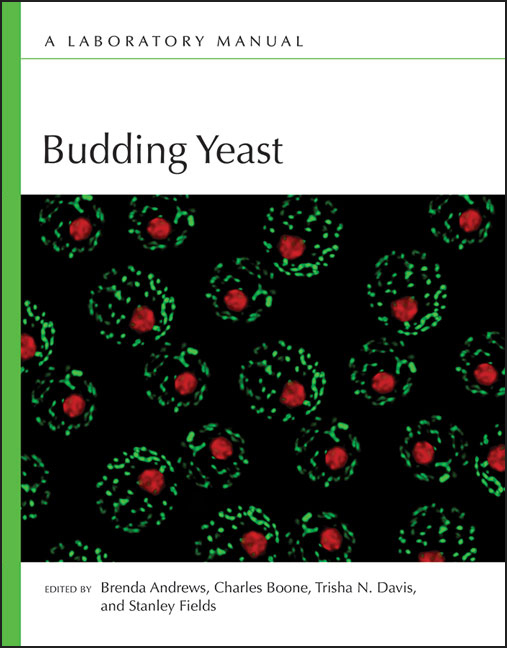 This manual is therefore an essential resource for all researchers, from graduate level upward, who use budding yeast to explore the intricate workings of cells.